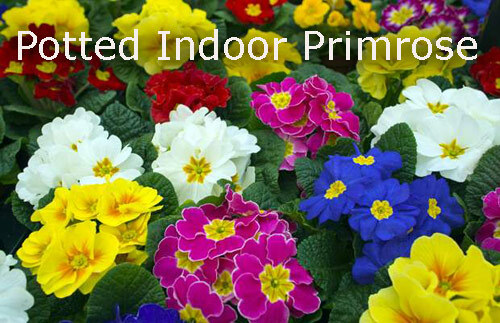 Available for sale at most Garden Centers this time of year, the Primrose plant is colorful and a welcome sight. After long cold month's of winters cold and grey these delightful flowers are a needed lift. It's still a bit early to pot them outside in some areas but you can still grow them indoors until the weather warms up by following a few simple tips. 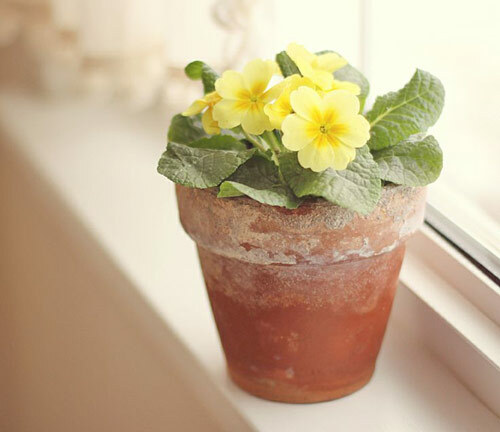 The first thing to remember is that a primrose plant is not meant to last and last. They usually last a few weeks outdoors in garden planters, showing their colorful flowers and then die off to be replaced with other seasonal plants. So if you decide to try them indoors just keep this fact in mind. As with most plants a potted indoor primrose does not like to sit in water. Their roots will rot if the soil is kept too moist. Once the soil starts to feel dry you need to water them and then give them a misting. They love humidity. Don't let the soil dry out completely or they will die quickly. As with most plants a potted primrose likes sunlight. So make sure they are getting as much direct or indirect sunlight as possible. When it comes to fertilizing any indoor plant including a potted primrose they like to be fertilized once a month except when in bloom. Don't fertilize when in bloom. 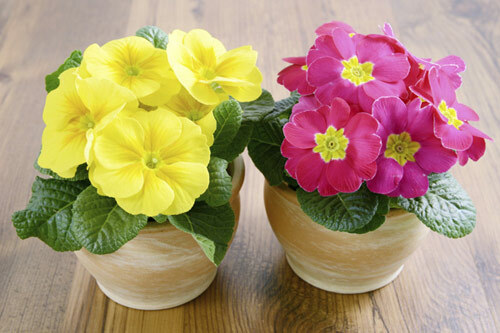 Primrose are pretty inexpensive to purchase so if you fell like giving this a go with trying to grow them indoors you won't have a lot of money invested and the outcome if successful is well worth the beauty and color that you will experience. Purple, White, Orange and Pink are all favorite colors. That's about it. [Read More] How to Grow a Avocado Plant Indoors.